Fix a hard bricked OnePlus 6 and get back to Stock Software. Download Official Qualcomm Software for OnePlus 6 to fix the hard brick. Get Back to Official (Stock) OnePlus 6 firmware using this guide. A complete tutorial is here along with all necessary download links. Messed with your OnePlus 6 while playing with Custom ROM or any other Mods? No worries, we have a complete guide on How to Unbrick OnePlus 6 using Qualcomm tool. In Android term, brick means when your Operating System gets corrupt, and you are not able to boot to system. To address this problem, we have a complete step-by-stem tutorial below with all necessary tools that required while unbricking the phone. OnePlus 6 is the new flagship killer of 2018, and it is one of the great performers among flagships. Since the phone is developer friendly, you would get a lot of updates from the developer community. So its normal, while trying any Custom ROMs or Mods, it’s prone to get brick. Installing a Custom ROM that is not stable. Flashing an incompatible ROM package. Flashing a new ROM with an old Custom Recovery. Although, we are not here to fix your hardware problem. If you had trouble with bootloop and operating system, please read ahead and implement the steps. The only way to Unbrick OnePlus 6 is to revert to Stock Firmware. We have some tools that will help you to repair your phone — read forward and grab them all. There is two type of faults. The first one is soft brick, in which phone mess up with the boot loop. The phone won’t enter the system in a soft brick. The second one is the worse one, the hard brick. 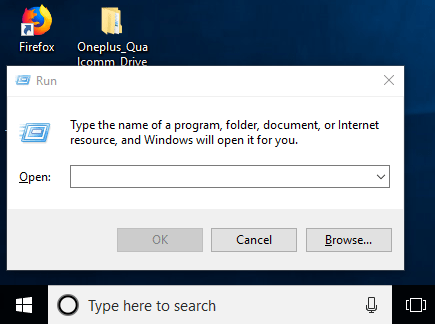 You can’t reach the boot screen, and even you won’t be able to enter into the recovery mode. The only way to get access is via fastboot mode. Let’s proceed to the tutorial below to tackle this hard brick situation. Charge your device before starting the OnePlus 6 Mega Unbrick tutorial. At least 80 percent charge is required so that the phone won’t get switch off while performing the tutorial. Official OnePlus 6 Unbrick tool — download and install it on your computer. OnePlus Qualcomm Drivers — download and extract the files on your computer. You must Install ADB and Fastboot driver on your computer. Mega Unbricking tutorial starts here! Please read the tutorial once before actually performing it on your device. Make sure you have the USB cable (the official one provided by OnePlus with the phone box). If you had correctly done with the Pre-requisites, proceed to the tutorial right now. First of all, switch off your phone. Now, press and hold [Volume up] + [Power] button to enter to the fastboot/bootloader mode. While in bootloader mode, connect your device to the computer using USB cable. Now, in your computer, press Windows Key + R to open the Run dialogue box. In doing so, a Device Manager will open. It will show a list of connected device. If your OnePlus 6 is connected correctly, you will see “Unknown Device or QHUSB_BULK” in the list. Right click on the device name and select “Update device software“. Use manual installation by selecting the driver folder. 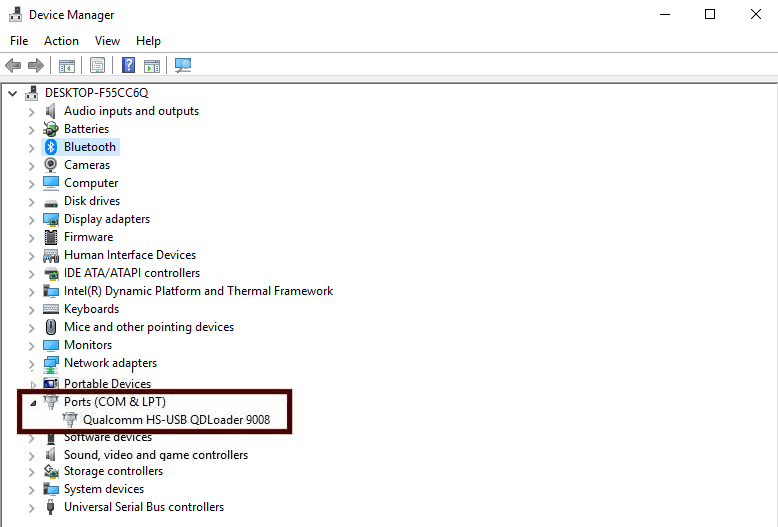 After the installation of driver, you will see your device as “Qualcomm HS-USB QDLoader 9008” in the device manager. 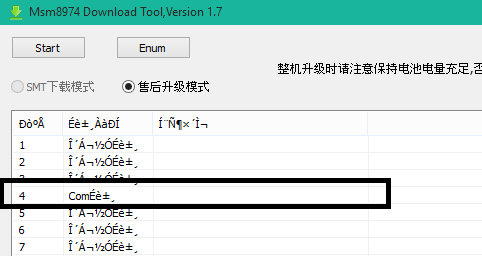 Now, extract the Official OnePlus 6 Unbrick tool on your desktop. Right click on MSM download tool Version 1.7 and run as administrator. In the MSM tool, you can see a “Start” button at the top left corner. Click on that and the Mega Unbrick process will start now. Wait for sometime. Wait till the status of your device shows Green. Once status shows Green, unplug your device and you are done! Congratulation! You should have fully functional device now. So you are done with this tutorial! You have successfully Unbricked your OnePlus 6 using our guide. If you faced any problem with performing this tutorial, please let us know by dropping a comment below. Our team will reply you back as soon as possible. Great post!! I am able to unbrick my OnePlus 6 easily following the instructions. Kudos!